Last week, WGN America announced that it had canceled the critically acclaimed and riveting historical drama Underground. Allegedly moving in a more conservative, programming direction, the network is leaving behind a show that introduced millions of viewers to the relatively unknown network. As the cast and crew confirmed and responded to the news, outraged fans—#TeamNoalee, #TeamStine and #TeamTubman—immediately responded with #SaveUnderground. The push to find a new home for this show is largely due to its dynamism. The show is singular and remarkable in its approach to telling the stories about enslaved and freed black people in the 19th century. From its complex characters, stellar performances, breathtaking soundtrack and rich storytelling, each episode feels like a multitextured journey. The liberties taken with historical accuracy do not compromise the integrity of truth telling and historical precision as it pertains to slavery and resistance. Pitting the notorious Patty Cannon against the Black Rose and one of the greatest heroines in American history, Harriet Tubman, was an incredible fictionalized remix of true stories of fugitive, formerly enslaved people and the inhumanity of slave catchers and owners. It’s hard to imagine Wednesday nights without the resistive spirit and depths of ancestral pain that Underground has provided. Although our nation is built upon white supremacy, this current era of anti-blackness and racial terror warrants as many sites of radical resistance and freedom dreaming as possible. Undeniably, Underground—with its unapologetic commitment to telling the truth about genocide, abolition and revolution—fills and exceeds that role. 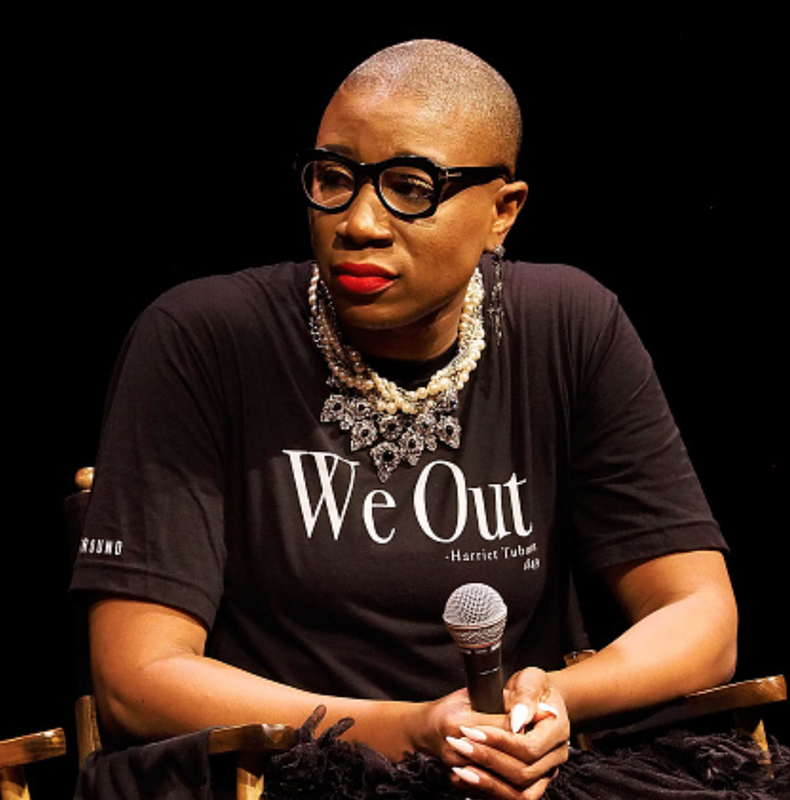 In an exclusive conversation with Aisha Hinds, this season’s breakout performer in her role as Tubman, we discussed at length the significance of a television show based on black resistance—specifically against this contemporary sociopolitical landscape—and the centrality of black women to our freedom-fighter past and our futures. “We’re still dealing with such oppression, and so I think that it’s necessary for Harriet’s spirit to revisit us and to remind us that there are Harriets within us,” Hinds told The Root. “She’s come back to sort of give us the playbook on how to strategize, on how to pray, on how to be guided and how to prioritize what’s necessary, and how to eventually take those selfless acts and be willing to die for the causes that are important to moving us forward,” she continued. Worth dying for, yes. Tubman believed that black lives, black bodies and black souls were worth fighting for—worth dying for and worth living for. “The General’s” actual practice was #BlackLivesMatter, generations before the radical black women at the core of this movement would proclaim the same. Underground is clear in its purpose: to expose the reality that when it comes to white supremacy—and the ways in which black people have always resisted oppression—past is often prologue. In many ways, Underground reminds us that the past is not even past. It encourages us to fight unrelentingly for radical black futures. The show’s creative team completed filming the second season prior to the election of Donald Trump. And yet, so many aspects of this season felt timely and passionately responsive to the current rise of fascism and the emergence of a more emboldened and explicit white supremacist political agenda. The battleground has changed, but white supremacy is indeed unrelenting and reinvents itself and its logics through new technologies and systems rooted in anti-blackness. With the exception of the notable historical figures depicted on Underground, all of the characters are “ordinary” people who survive the unsurvivable and fight seemingly unwinnable battles. Their visions of freedom shift and expand in differing ways as they experience the breadth and ubiquity of white supremacy. Their ideas about liberation change as they learn more about themselves and about a country indebted to black suffering, labor and death. They are not perfect; nor do they have to be. “One of the first truths that [Harriet] speaks in the “Minty” episode is when she says, ‘I was born and raised like a neglected weed,’” Hinds said. “The idea that this woman was an ordinary woman—she wasn’t born into the amount of acclaim that she later went on to receive; she was born into circumstances that didn’t even consider her human—so the fact that this ordinary woman was able to rise up against insurmountable odds and do this extraordinary thing ... spoke to me and encouraged me and inspired me, that in all of my ordinariness, there is something extraordinary that I’ve been planted on this earth to do,” Hinds continued. The imperfections of the characters, coupled with their fluid and still-forming radical imaginations, are profoundly instructive to those of us organizing, mobilizing, teaching, writing, coding and creating in the era of the Movement for Black Lives. Not all will be on board with freedom work. Our visions of freedom work will vary. But an underlying theme of the show and of radical black liberation struggles is that freedom for all of us is nonnegotiable. We don’t get to opt out; the stakes have always been too high. The show’s contemporary relevance is both haunting and enlightening, specifically because of its commitment to bearing witness to the horrors of white supremacy as well as the vitality of black resistance. Creative resistance is one of the many tools we have in combating oppression, something that Hinds became increasingly aware of as she moved deeper into her role. #SaveUnderground matters because the show’s cast and crew were and are unapologetically committed to telling our stories. From an artistic standpoint, Underground is phenomenal. The show’s commitment to a radical, black, freedom-fighting imagination, though, is what makes it invaluable. Underground is the show, the freedom-dreaming experience, the ancestral battle cry, that we didn’t know we needed. Treva B. Lindsey, Ph.D., is an associate professor of women’s, gender and sexuality studies at the Ohio State University. She is the inaugural Equity for Women and Girls of Color Fellow at Harvard University. Follow her on Twitter.